(I pondered this passage in my blog about 4 1/2 years ago. As I re-read what I wrote I realized i couldn’t say it much better. So this is a re-print of that post. It’s worth reading – or re-reading – if I do say so myself). 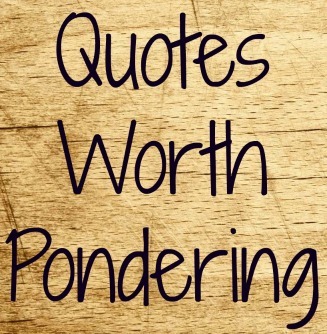 Often times when I look at a passage there are questions that immediately spring to mind. Other times I am struck by phrases that stand out. As I pondered this passage there were particular words that grabbed my attention. “Whatever” (v.7) – in other words Paul is saying that no matter how much success he has had from the world’s perspective none of it matters a hill of beans. Christ has captured his heart and Christ is his everything. Question I ask myself: Has my heart been unequivocally captured by Christ? “Surpassing” (v.8)– It’s almost as if Paul cannot think of a superlative that would do justice to how he feels about knowing Christ. He was not content to just say the “greatness of knowing Christ” – he had to add surpassing greatness. Question for me: Does knowing Christ mean anywhere near as much to me as it did to Paul? “Lord” (v.8) – Paul could have stopped with”knowing Christ Jesus” and we would have gotten his point, but he went on to add “my Lord”. Why? What was he trying to communicate to his readers? In 2:11 of this book Paul declares that “Jesus Christ IS Lord”. Here, however, he declares that Jesus is “my Lord.” There is a big difference in knowing on the one hand that Jesus Christ IS Lord and on the other hand knowing Him as my Lord. For Christ to be Lord means that I have pledged allegiance to Him alone and completely surrendered everything about my life to Him – relinquishing control once and for all and allowing Him to dictate how I will live this life. Question for me: Have I done this? Now, put all this in the context of what Paul is saying in this passage. EVERYTHING to him was just a bunch of skubala compared to knowing Christ. Question for me: On a scale of 1-10, how much of a crap-lover am I? Am I willing to get rid of all my crap if it means I can know Christ better? “Faith” (v.9) – At first glance it would seem that God has made it much easier for us to be found. Quit trying to do do do (he’s already said that that is like do-do in His sight), instead just believe – have faith. Sounds easy right? It is easy… until you understand what saving faith really is. Let me try to define it as I am coming to understand it – then you tell me which is easier. Faith in Christ involves total surrender on my part. It is no longer about what I want or what I need or what I dream about. It is about Christ and what He wants. Faith says each day “I die to myself and live for Him.” Faith acknowledges that apart from Him I am nothing. Faith submits willingly and joyfully to His “whatevers” and completely discounts my whatevers. Faith acts intentionally and courageously to pursue a gospel centered, gospel saturated life. Faith boasts in the cross and the work of Christ – not in my efforts no matter how good they may be. Faith waits patiently for God’s timing instead of plowing forward with all my great ideas. Faith prays. “Power” (v.10) – The idea of power is intoxicating. And then I’m reminded that the kind of power Paul is talking about comes in a completely different looking package than what most of us want. Check out what Paul says in 2 Corinthians 12:9-10: “But (the Lord) said to me, “My grace is sufficient for you, for my power is made perfect in weakness.” Therefore I will boast all the more gladly about my weaknesses, so that Christ’s power may rest on me. That is why, for Christ’s sake, I delight in weaknesses, in insults, in hardships, in persecutions, in difficulties. For when I am weak, then I am strong. See, here is where Paul and I are 2 different cats. I, myself, delight in strength, in compliments, in encouraging affirmation, in easy times, in good health, in wealth, in fun. So far to go! So much to learn! May God fuel us with a desire to know Christ and the power of His resurrection and the fellowship of sharing in His sufferings. Learning to hear God is much more about becoming comfortable in a continuing conversation, and learning to constantly lean on the goodness and love of God, than it is about turning God into an ATM for advice, or treating the Bible as a crystal ball. In this passage Paul talks about 2 guys who have become close ministry associates, 2 guys that he speaks very highly about. One of them, Timothy, is more well known than the other. Epaphroditus is introduced to us here in this passage and is only mentioned in this letter to the Philippians. But I think he is a man I would have enjoyed knowing. His life had been radically changed – He was no doubt born into a pagan family as his name indicates, possibly named after the greek goddess Aphrodite. But somewhere along the line, perhaps when Paul made his missionary journey to Philippi (Acts 16), God took hold of his life and revolutionized him. He was not content to just let Jesus be a part of his life. Jesus was his life and it shows by the way that Paul talks about him. 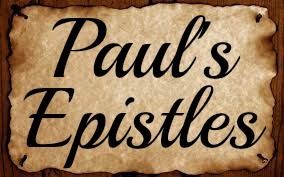 He genuinely cared about people – When the Philippians decided that they wanted to send Paul a care package to help meet his needs while he was in prison Epaphroditus was the man who volunteered to deliver it. He did this because he cared about Paul and wanted to demonstrate it tangibly. Verse 26 also indicates how much he cares about and longs for his friends in Philippi. He was a people person found joy in serving and caring for others. He was a a gospel ambassador – Paul describes him as a “brother, fellow worker, and fellow soldier.” All you have to do is read Paul’s letters to know that he tells it like it is when it comes to people who have hurt him or helped him. Epaphroditus had been an incredible blessing to Paul in a time of need and receives a strong commendation from the apostle. No doubt his stock soared even higher in the eyes of the Philippians. He was a risk taker – verse 30 says, “… risking his life to make up for the help you could not give me.” E was not a complacent Christian. He did not always take the easy road. He was willing to take risks in order to serve God. Philippi was about 800 miles from Rome. The trek would take 1-2 months. This was a dangerous task. But E was undaunted – and it almost cost him his life. But as far as he was concerned it was worth it. Indeed, I think I would enjoy knowing Epaphroditus and hearing his story. Those who tremble at God’s Word are not presumptuous people who derive fictitious comfort from it. We meet at times with a vainly confident man who puts behind his back every warning and threat and only appropriates to himself every promise, though the promise is not made to him. Such a man steals the children’s bread and without question dares to put into his felon mouth what God has reserved for His own. This thief knows nothing of trembling at God’s Word— he takes much too much freedom with what the godly hardly dare to look upon. I will not say a word in favor of unbelief—it is a dreadful sin. But I would say very much in honor of that holy caution, that sacred bashfulness, that godly reverence which treats holy things with deep humility and careful jealousy. What does it mean to “work out your own salvation with fear and trembling“? This was written by the same guy who wrote, “For by grace you have been saved through faith… not as a result of works.” (Eph. 2:8-9) So we know that it does not mean that we are to work as hard as we can in order to gain salvation. The key is found at the beginning of the verse, “as you have always obeyed…” Obedience is the working out of a faith that already exists. It is the exercising of our faith (a faith work-out so to speak). We do this because God is working in us “to will and to work for His good pleasure.” In other words we intentionally put our faith into practice because we want to please our God who brought about the great work of salvation in our lives. This is not a fear of being doomed to eternal torment, nor a hopeless dread of judgment that leads to despair. It is rather a reverential fear, a holy concern to give God the honor He deserves and avoid the chastening of His displeasure. Such fear protects against temptation and sin and gives motivation for obedient, righteous living…. To have such godly fear and trembling involves more than merely acknowledging one’s sinfulness and spiritual weakness. It is the solemn, reverential fear that springs from deep adoration and love. It acknowledges that every sin is an offense against holy God and produces a sincere desire not to offend and grieve Him, but to obey, honor, please, and glorify Him in all things. May the Lord fill us with a longing for obedience to His soul nourishing Word because we know that He is indeed working in us to satisfy our hungry hearts and to glorify His great name.